Is the Dominican Haitians Humanitarian Crisis a sign of things to come in the Caribbean Region? In the Dominican Republic, undocumented Haitian immigrants and Dominicans of Haitian descent now face mass deportation unless they can present documentation of their legal residential status. June 17, 2015, was the deadline for compliance. Haiti, with a population of over 9.9 million, is a member state of the Caribbean Community (CARICOM). 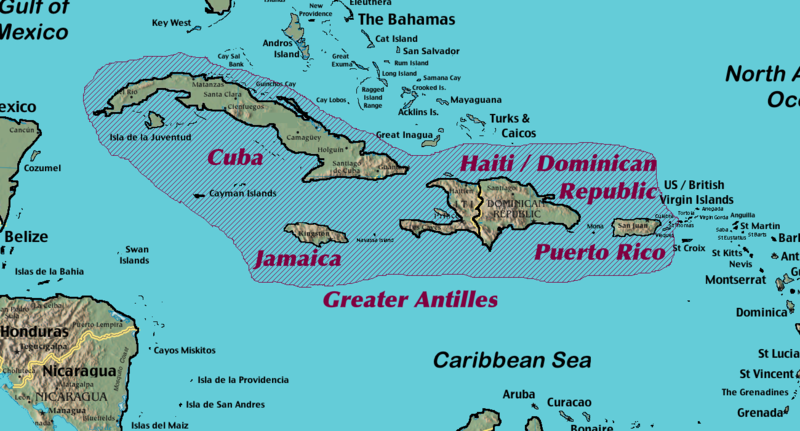 The Dominican Republic, with a population of over ten million, has CARICOM Observer status. In 2004, the country became a fully integrated member of the Central American Free Trade Agreement, since known as CAFTA-DR. In September 2013, a Constitutional Tribunal ruling changed the DR’s citizenship policy. The ruling revoked automatic citizenship granted to children born to immigrants, as far back as 1929, throwing into a quagmire almost a quarter-million Dominicans, 83 percent of Haitian descent. Then in May 2014, the DR passed a law regulating the naturalization of people born in the country to undocumented immigrants. By the deadline, 96 percent of applicants lacked the necessary documentation for legal resident status. Reports have surfaced that the foreign minister has extended the deadline for another 45 days. Meanwhile, seven newly constructed deportee processing centers in the DR have begun operations. To handle the influx of arrivals, the Haitian government has created two new border repatriation centers. On June 26, Haiti’s Prime Minister Evans Paul told the foreign press that 14,000 people have already crossed the border, including migrants who left voluntarily. To dismiss this crisis as mere “ethnic purging” would be a mistake. Rather, it should spur Caribbean leaders to address the fragile state of Caribbean economies that will only worsen in the years ahead as tropical storms intensify their destructive force and sea levels rise due to climate disruption. While the economic situation in the Dominican Republic is not as dire as that in Haiti, the poorest country in the Western Hemisphere, the DR faces its own challenges of marked income inequality and an unemployment rate of 14.6 percent. The poorest half of its population receive less than one-fifth of the nation’s GDP, while the richest ten percent pockets nearly 40 percent. Our globalized capitalist economy breeds and feeds on poverty and national indebtedness. The 200,000 or more Haitian and Dominican-born Haitians that will inundate the borderlands of the two nations will create another pool of desperate stateless people willing to work long hours for low wages, condemning them to a lifetime of poverty. Thanks for sharing with your readers, Cyril. We need to take action. Are there any promising suggestions re: how to deal with this problem? Since the ruling in September 2013, CARICOM leaders have called on the DR to desist from such action. Jamaica has made it clear that they will not support the DR’s membership in CARICOM if the country doesn’t resolve this human rights issue. CARICOM has also raised the issue with the EU-CARIFORUM [a trade forum] high-level meeting held recently in Brussels, of which the DR is a member. CARICOM has also called on all international forums to pressure the DR to avoid creating a humanitarian crisis in the region. We shall see how effective these measures will be. Thanks, Rosaliene. Is the DR able to support its population? It is, as far as I’m aware. I haven’t been following the country’s socio-economic situation. I wish to commend the Barbados Today for the editorial published on June 20, 2015, titled “Haitians merit justice like everyone else”. While reading this piece, I was immersed in joy with a little bit of reservation that the fourth estate is once again putting itself ahead of the snail-paced and, often times, lacklustre statements coming from regional leaders. Please permit me to inject that I sometimes find it difficult to wrap my finger around one thing relating to intra-regional relations. Certainly, the situation between Haiti and the Dominican Republic is one that screams ethnic cleansing almost similar to Hitler’s Germany, but I feel there is a wider picture to be had, and it speaks to perceived minority groups in the region and the treatment meted out to said groups. Not only do I feel Caribbean leaders continue to remain silent and hide behind, according to some, the “toothless dog” that is CARICOM, but I have a strong contention that we, as Caribbean citizens, have become increasingly apathetic and reactive. So much so, that we can no longer sense a grave humanitarian crisis even in its preliminary stages. It is my humble view that should the Dominican Republic be afforded membership into CARICOM, and the country has applied many moons ago, then we would be able to bind the DR with the provisions for free movement and all those good things on paper and theory that come with the revised Treaty of Chaguaramas. Fortunately, The Bahamas is already a full member of CARICOM and therefore bound by the Treaty, but we remain increasingly silent on the Bahamas’ anti-Haitian laws. So what moral standing would CARICOM have to denounce the DR on treatment of Haitians, when we are yet to comment on what was recently made law in The Bahamas, a country that might have some inclination to take our advice. It baffles me. On the point of Caribbean apathy in the face of these issues, I am unsure what to call it. I could call it xenophobia – a fear of foreigners. I could call it Caribbean self-doubt, or I could call it Caribbean self-hate and inferiority complex. Nevertheless, whatever we call it, may we agree that the problem with the treatment meted out to Haitians, even in the region, goes beyond the Dominican Republic and sometimes rests squarely at our own doorsteps? There are Caribbean territories where Haitians, and sometimes Jamaicans, Surinamese, and even my own Guyanese people, are seen as second-class citizens. I have always wanted to visit Barbados, but I shudder to think I would receive the pleasure of having to sit on the infamous “Guyanese bench” at the Grantley Adams International Airport. And let’s not get into the witch-hunt of immigrants that tends to make the regional papers every once in a while, mostly sparked by political leaders dealing with immigration or crime. The most recent episode was Trinidad’s former national security minister Gary Griffith laying the blame for Trinidad’s crime situation at the feet of the immigrants, especially those who were “illegal”. I mention all of this in an attempt to say that, while the editorial pointed to the rights of Haitians and their unfair treatment by Dominican counterparts long accused of racism, we must not set ourselves apart from the freight. We must not see the issue of ‘anti-Haitianism’ occurring in the isolated case of the DR, but we must broaden our scope to recognise that we ourselves are guilty of those very actions we condemn. For the sake of regional integration, let us rally around the wider picture of xenophobia within the Caribbean and let us move forward from there. Derwayne Wills makes some valid points about the failure of CARICOM leaders to act more decisively. I wasn’t aware of a similar situation in The Bahamas. Who will be next? Victor, thanks for sharing the other side of this issue. Thanks, too, for the link to David Jessop’s article published on March 2, 2015. Interesting article on the plight of Dominican Haitians by Trinidadian-Canadian writer, activist, and educator. Only a blind person would fail to see that these eruptions of economic dysfunction is no longer a local problem (as if it ever was!) but a global issue. As the populations increase exponentially, so does living space and essential sustaining natural resources decrease by the same measure. I read blogs dealing with the Palestinian problem; with the Syrian refugee crisis; with sabre-rattling between Russia, the US, China and with fears of spreading international terrorism from so-called “terrorist” groups in the Greater Middle East and Africa. Horrors upon horrors, and the only place any solution is found is in wishful thinking. This is it, folks. The species has screwed itself into certain annihilation and nothing is going to stop this tidal wave as it crashes upon every corner of the globe within the next hundred years or less. There are some challenging part-solutions available right now that would lessen the impact of the devastation I foresee. Here are some of them, the most sensible and common sense ones: stop making more people, at least for a generation. Get rid of your rich sociopaths and distribute remaining resources and space fairly among all. Stop making weapons and stop fighting your stupid, endless wars that profit only the super rich. Remove all national borders – effective immediately – and stop thinking of yourselves as having a nation, a race, a language. Most importantly, utterly destroy the ruling patriarchy at all levels where it shows its murderous face, from the dining room table to the highest places of power. Now, who bells the cat? ~ Your diagnosis of our civilization is spot on. Our American police state, armed for war against its own citizens, is already prepared for impending chaos. ~ Your commonsense solutions would be a big move forward. ~ Who bells the cat? Together, hand-in-hand, we the people are our only hope.